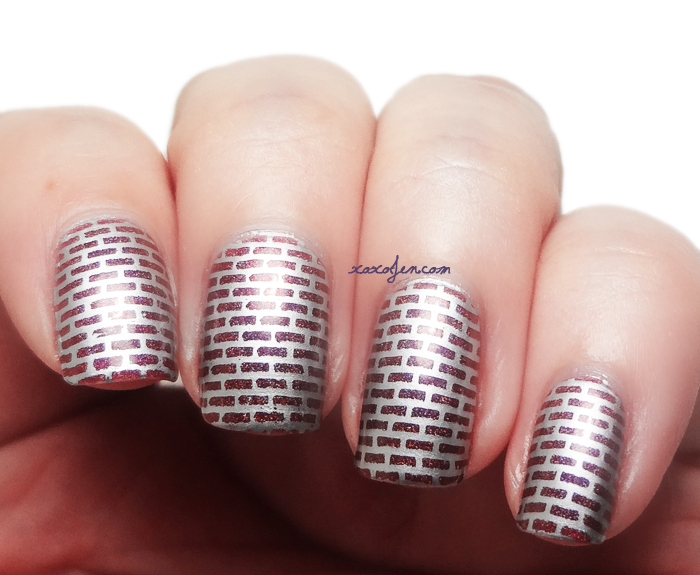 I had a little fun with stamping over a few of the Addicted to Holos polishes I recently reviewed. The box is available for preorder now until Monday at the ATH shop. For this look I used Literary Lacquers Phoenix in Her Blood and stamped with MDU silver, Finger Angel plate V05 and a candy head stamper. I wanted a brick pattern for such a long time and was finally able to find one. I love how this turned out! 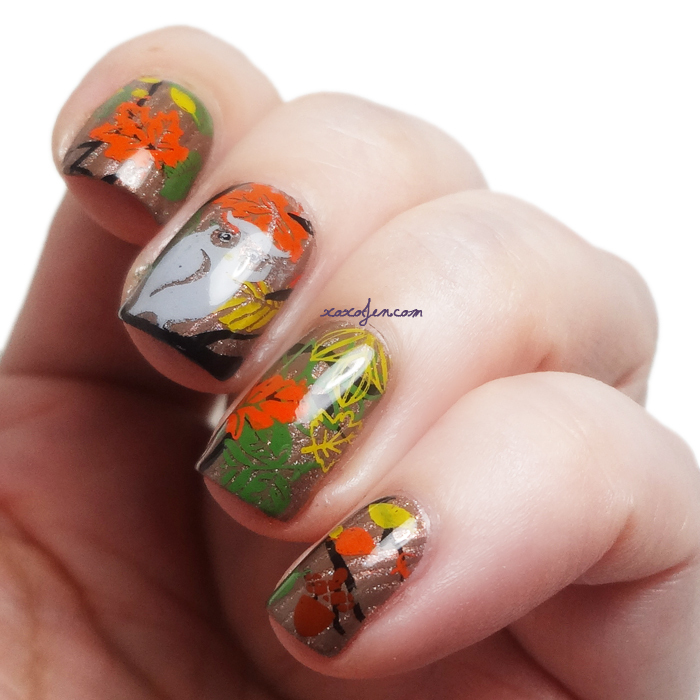 I enjoyed doing some fall nails with Sweet Heart Polish Sugar and Spice. I used the wood grain pattern from Vivid Lacquer plate VL19. 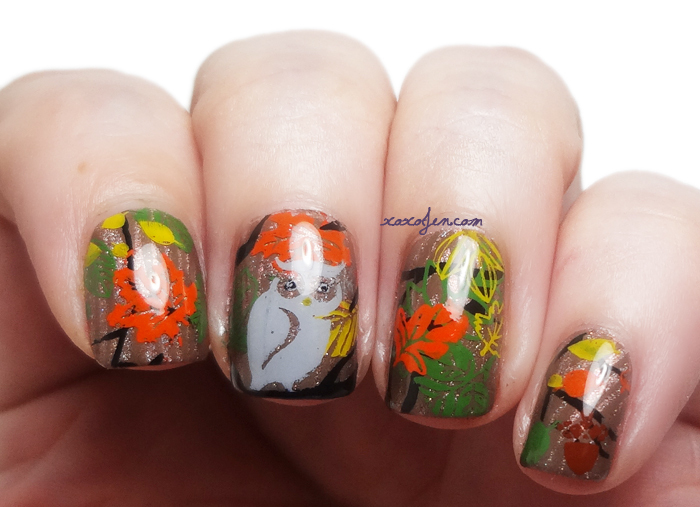 The leaves, branches and owl are from XIUYA 26 and 29. MDU polishes were used to stamp with my candy head stamper.